The use of Schema markup and structured data has an important role in the Google webmaster tools as well as on the other search engines. I have been using the Schema markup to rank well on SERPs and to Tell the search engines about our business and website in an authoritative manner. Currently, the Web is getting more complex, meaning the good Search Engine Optimization is always getting harder and harder. At the same time Google’s crawlers are also getting more advanced, so still, most people have trouble and doubts deciphering information they discover on the Web. The schema is a collaboration between the major search engines that create a consistent language as well as helps them understand entities as well as supports to understand the relationship to one another. In general, structured data is the most effective ways for any business to communicate important information about their website to Google. However, the schema is the code that is typically written in HTML or JSON which helps Google to better understand the data on your site. Normally, Google use schema by displaying rich snippets for domains, these are the essentially additional text that will result in a user or customers being more likely to click on your result. No matter how small or big your business is, you can easily utilize website schema to help Google better understand information and details of your website. Schema.org markup is a joint effort, in the spirit of sitemaps.org with the help of which you can easily improve the web by creating a structured data markup schema that also supported by major search engines. Most importantly, on-page markup also plays an important role, through this search engines understand the information on web pages and at the same time provide richer search results. Schema.org is known as the specific vocabulary of tags that you can also add to your HTML which will improve the way your page is represented in SERPs. Overall, schema.org is the result of collaboration between yahoos, bing, Google, etc. to provide information their search engines need to understand your information and content on your website. Adding structured data markup completely ensures the way your page displays in SERPs because this completely ensures snippets. In general, structured data is defined as a system of pairing a name with a value this will helps search engines categorize as well as index your content on the website. While Schema.org is a project that provides a specific set of agreed-upon definitions. Does Schema Replace Open Graph? Open Graph is one of the popular types of markup, and it can be used by Facebook to parse out information. In general, Schema provides a more detailed list of options when compared to Open Graph they can be used together, but Open Graph cannot replace the place of Schema. Each type of information or details has properties that can usually be used to describe items in more detail; it is really important for business promotion. For example, a Book generally falls under the category of creative work at the same time this can have the properties like little or name, author, ISBN, illustrator as well as more details depending on how fully you want to show or describe it. Similar to this event can be classified as anything from a business event to a theater event. Still, the schema is highly recognized by popular search engines like Yahoo!, Google, Bing, and Yandex, etc. but it is really unclear whether other search engines are using schema markup to change how they display search results. Still, there is no conclusive evidence that this markup ensures search engine rankings but some indications that search results with some popular and extensive rich snippets will get rich click-through rate. Experiment with Schema markup highly allows you to get better results and it supports business to attract audiences. Usually, Schema can be used with RDFa and JSON-LD, but still, it is not supported by microformats. The schema markup generator can be used to create as well as generate structured data markup, and this can be injected into the head or footer of your website to ensure the complete visibility. If you are interested in getting the great visibility, you must use this effective option before that do proper research to make the right decision. 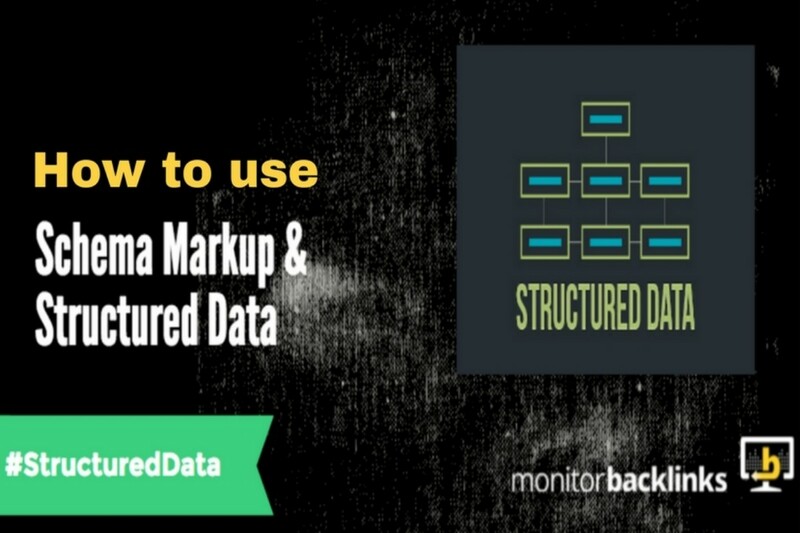 In general, you can’t run away from structured data anymore. To get the improved online visibility you must use Schema.org. At the same time, you need to implement it correctly; it can do great things for your business. On the other hand search engines are also developing new ways to present search results so try to use Schema.org data to get hold top places in the current market. Lauren McLaren was born and raised in Australia. She is working for Digital Muscle Limited, which is the leading Affordable SEO company in Australia providing affordable SEO services. She’s hardworking, competent and trustworthy. Her role within the company is to design websites. In her spare time, she loves to read, cook and watch movies. Hi Lauren, I always find it interesting to know more and more about the schema markup. Glad you got into a little deeper and share how the search engines have incorporated this technology. Thanks!